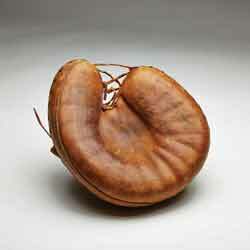 The Jewish Baseball Museum has a vast collection of artifacts that provide a direct connection to the history of the game. 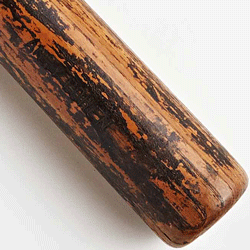 Take our online museum tour to see Sandy Koufax’s 1963 jersey and bats used by Hank Greenberg and Al Rosen. 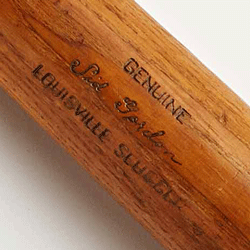 Be sure to check out what Ron Blomberg did to the handle of his bat. Also, read the stories by long-time Chicago Tribune sportswriter Ed Sherman that bring these artifacts to life. DO YOU HAVE AN ARTIFACT & STORY TO ADD? If you have any Jewish baseball artifacts that you would like to share, or perhaps sell, to the Jewish Baseball Museum, please contact us.